Integration of Modelon’s OPTIMICA Compiler Toolkit will advance the Ricardo Software IGNITE product’s simulation speeds and capability – and offers the opportunity for future significant enhancements. Ricardo Software today announces a key partnership that will deliver immediate benefits to users of its IGNITE complete vehicle system simulation product, as well as enabling significant future developments. In the upcoming 2016 product release, planned for May, IGNITE users will have instant access to Modelon’s advanced OPTIMICA Compiler Toolkit, a Modelica and Functional Mock-up Interface (FMI) based computational platform for system design. Integrating IGNITE and OPTIMICA offers clear advantages for system simulation users, not least with a three-fold increase in the speed of compilation and simulation, providing very significant time-savings. Moreover, it provides expanded compatibility with proprietary and open source Modelica libraries (covering two-phase fluid, thermal, hydraulics, and more), and comprehensive support of the FMI, further enabling execution of multi-domain and multi-scale studies in IGNITE. 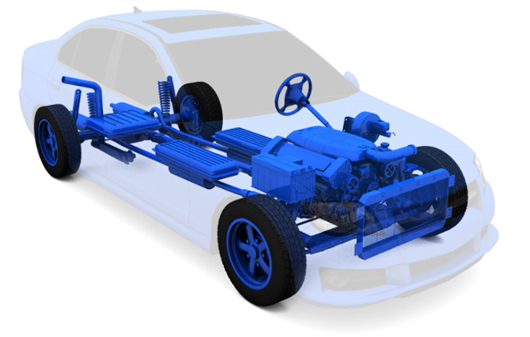 The result of this partnership will bring together the best of IGNITE’s comprehensive ground vehicle performance and fuel economy simulation capability with Modelon’s leadership in Modelica and FMI technology.